i want full details about thermocol dishes, plates, Glasses & etc. actually I want to production & sell to market own. So i need details with machine rate, production cost, etc. please halp somebody. Please see the following link for machine suppliers and process etc. 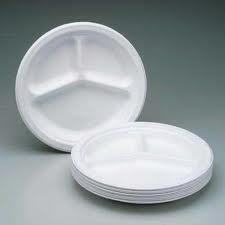 I want full details about thermocol dishes, plates, Glasses & etc.I want to manufacture and sell it to market. So i need details with machine rate, production cost, etc. Please help.